Creamy, rich, thick and white,Tzatziki Sauce is not your regular sauce. This Greek sauce is usually served in Greek gyro sandwiches. Here is how to make it. Not much do we know about Greek cuisine, except that they have a great variety of desserts and bakes. Greek cuisine is also about finger foods. What is a finger food without some dipping sauce? Creamy, rich, thick and white, Tzatziki sauce is not your regular sauce. This Greek sauce is usually served in Greek gyro sandwiches, but is also used in grilled meats or as a dip. Made of strained yogurt mixed with cucumbers and a multitude of spices, it has a salty, tangy and very garlicky taste. Mint, parsley or lemon is often added to it. 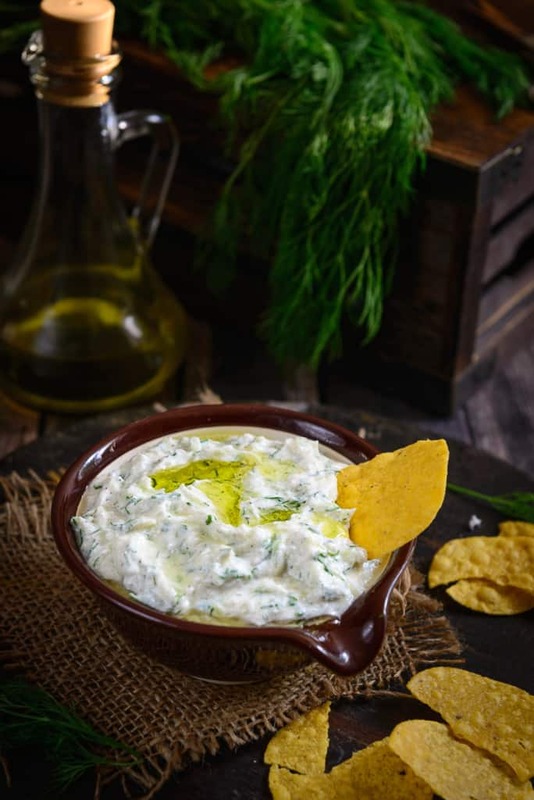 Tzatziki sauce can be compared to the Indian raita, except only cucumber is the vegetable used in the preparation, and olive oil gives it an added flavor. 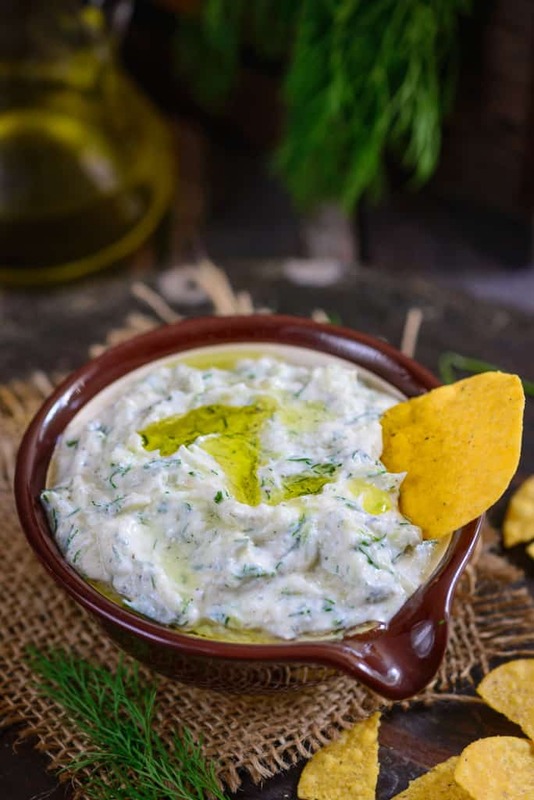 In some organic stores, readymade Tzatziki sauce is available, but nothing tastes better than homemade. It is also my quick go to for thickening up meat dishes, is low on carb and gluten-free too. Using Greek yoghurt is the best way to get the desired consistency of this sauce, but you can also use other kinds. Only ensure that the yoghurt is strained several times to remove the water. Although cucumber is used, it is better to remove the seeds so the sauce doesn’t get too watery. The sauce can be used in the Grilled Vegetable and Cheese Sandwich instead of the cheese, as well as myriad of different ways. 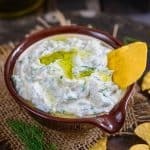 Here is how to make Tzatziki Sauce. Creamy, rich, thick and white,Tzatziki Sauce is not your regular sauce. This Greek sauce is usually served in Greek gyro sandwiches. Add all the ingredients in a bowl and mix well. Refrigerate for up to 2-3 days. Very tasty! I even sometimes use it as a drink by making it more liquid.